Looking for a Bluetooth speaker that is perfect for your apartment or listening to your favorite music while in the kitchen? While I have some nice speakers, I don’t have anything that can easily be tucked away in the kitchen, allowing me to listen to my favorite music or audio book while I bake. Since I don’t have much room in my kitchen for extras, it had to be a small speaker that could be hidden out of sight and wouldn’t get in my way. While on my search for general purpose speaker, I was approached by Bolse, who asked me to review their new Bolse NFC BTS-12 Portable Bluetooth Speaker! 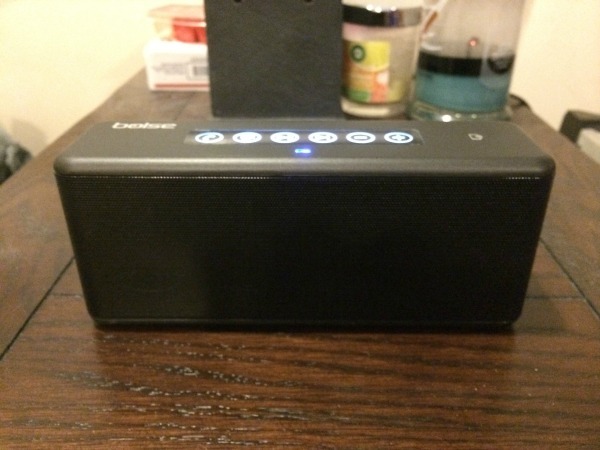 Looking for a general purpose, portable Bluetooth speaker at a price anyone could afford? 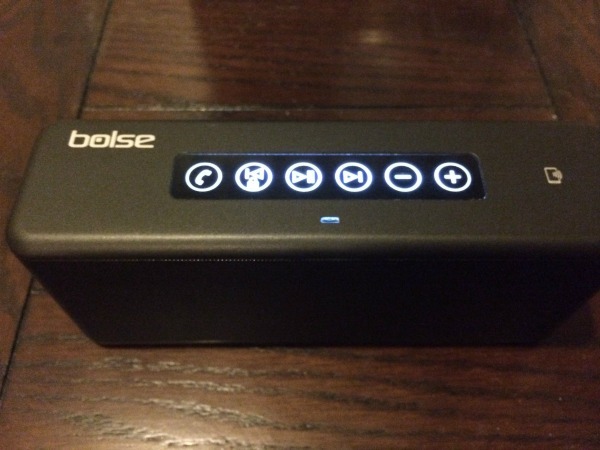 If so, we think you will love the Bolse NFC BTS-12 Portable Bluetooth Speaker. This budget friendly speaker not only has rich sound, but a responsive touch button system that allows you to control your music through the speaker itself. As well, this Bolse system instantly synchs to favorite device, allowing you to listen to music, watch your favorite TV show, or have a clear speaker phone conversation with its built in microphone. With this speaker, you are getting a high quality speaker at a price that is perfect for any budget! After a bit of testing, I have to say that I am pleased so far with this Bluetooth speaker. Normally, portable speakers in this price range are one of two things – portable or quality. You usually have to pick one and hope that it meets your standards. 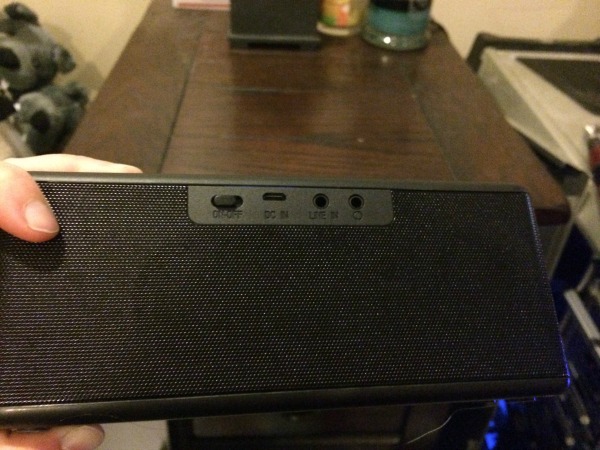 Personally, I think the Bolse NFC BTS-12 Portable Bluetooth Speaker did both. It is compact, easy to use speaker that has a very responsive touch based system and the sound quality is amazing for the price. Voices come through wonderfully and I found that most songs from various artists sound great on the speaker, and it seems able to handle a variety of ranges with minimal distortion. If you are looking for a good, general purpose portable speaker that can also be used as a hands-free headset, this is the Bluetooth speaker for you. Based on our own experience with this speaker, we are happy to give the Bolse NFC BTS-12 Portable Bluetooth Speaker an A rating. Would you like to purchase this awesome speaker for yourself or someone in your family? You can buy the Bolse 12W NFC BTS-12 Bluetooth Speaker on Amazon.com for under $35. My oldest son has been hinting that he wants a portable blue tooth speaker for his birthday. What good timing for your review! Thanks for the info on this speaker! It’s going on my Amazon.com WISHLIST.